Scott's Discovery Hut, on the tip of Hut Point Penninsula. The mill vans surrounding are part of the Antarctic Heritage Trust, and are working on resoring the hut as well as preserving the contents inside. Scott’s Discovery Hut, on the tip of Hut Point Penninsula. 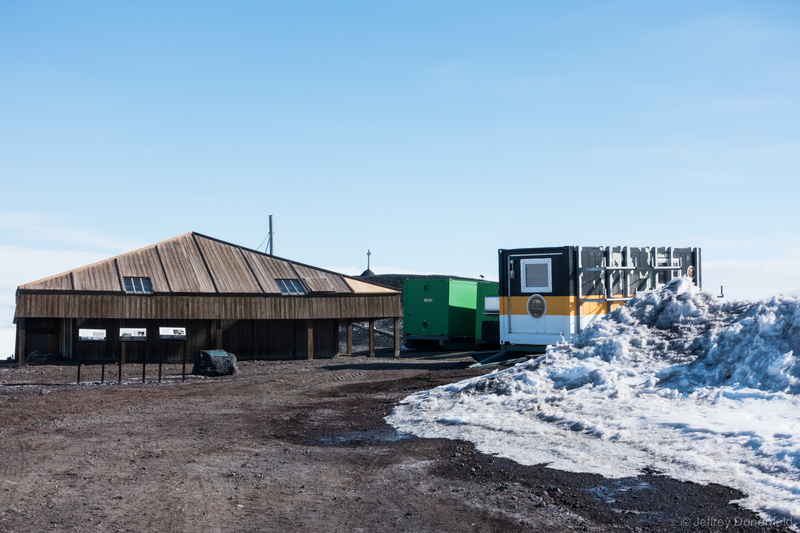 The mill vans surrounding are part of the Antarctic Heritage Trust, and are working on resoring the hut as well as preserving the contents inside.